It’s a bittersweet time. The memory-filled house where you raised your family has become something of a burden; its rooms no longer needed by grown-up children with kids of their own, its furnishings more a labor intensive collection of clutter than a source of pride. The time has come to scale down and move on. What once seemed unthinkable, namely apartment living, suddenly looks very appealing – a natural step towards a comfortable, cost-effective lifestyle. Of course, your family will still be able to visit you. And downsized digs will most certainly make it easier for you to visit them, along with traveling the rest of the world whenever you want. But what about your garden? The one you tended all those years, filling your family’s life with flowers and fresh food. How can you ever leave that behind? The answer is don’t! Find a place that allows and encourages you to garden on. Perhaps not on a plot of land, but by turning your new apartment home into a garden of a different sort. 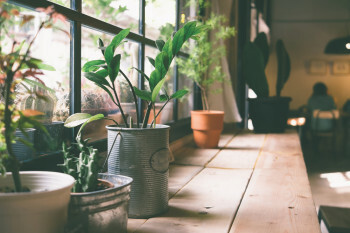 Try a fresh herb garden on a shelf in the kitchen, or a vegetable garden in containers on a balcony. Even dwarf fruit trees can thrive in so small a space. And there’s always gardens of the naturally small such as Bonsai and dwarf topiary. Bring cuttings from the garden you left behind and fill your new home with living reminders of your old one. Western National Apartments specializes in Senior apartment complexes that allow you to keep gardens in and around your life. Contact us for more information about the green lifestyle choices we offer.